If you are looking to dive into the world’s largest lagoon, then Mayotte is the place to go. Mayotte is a beautiful island that can give you the peace and tranquility you may seek during your vacation days. It is located near Madagascar, it has a tropical climate which can be very hot, but that just encourages you diving and seeing the corals all day long. Nevertheless, there are a few things you should know about Mayotte before taking a trip there. Mayotte is a French overseas territory, so you need to make inquiries about a visa. What you should know is that while France is a Schengen Area country, Mayotte is not, so if you already have a Schengen visa, it will not do if you travel to Mayotte. Nevertheless, French overseas territories have a lenient visa policy. All the citizens of EU countries can enter Mayotte and remain there indefinitely. The same goes for a few other nationalities. Plus, there is a list of multiple countries whose citizens can travel to Mayotte without a visa and stay there for periods that vary from 3 to 6 months, depending on nationality. The bottom line is that almost everyone can go to Mayotte with just a passport, although there are some restrictions regarding some nationalities. If that is the case for you, you need to contact a French diplomatic mission in your area. 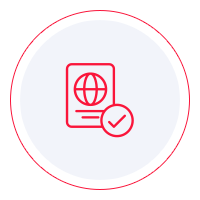 For more information, we recommend that you do your research on French overseas territories visa policy. Another thing that is very important for you to know is that Mayotte is predominantly Muslim. Why is that important? Because you need to be respectful about it. The locals are tolerant of tourists and they are very friendly. If you want to show respect, smile and greet the locals that you find on your path while hiking. Always have a respectful attitude no matter where you are, and try to dress decently even if it is hot outside. Nobody is asking you to wear clothes at the beach, but try to avoid walking on the streets more naked than dressed. The food in Mayotte is delicious. After all, this is French we are talking about. There is the oriental cuisine as well, but you can take your pick on what you eat. However, you need to be a bit careful during the Ramadan. As you may or may not know, the Ramadan is a very important holy month in the Islamic culture. During that time, Muslims do not eat or drink anything from sunrise to sun dusk, which is why many restaurants and cafes are closed during that period. Of course, you are not required to fast as well, but you should avoid eating in public. It can come off as disrespectful. Mayotte can have malaria outbreaks, which is why you should pay a visit to your primary care physician before you leave. Contracting the disease may seem unlikely, but it cannot hurt to get the vaccine anyway. It is not mandatory, but it is highly recommended. Since Mayotte is a French territory, you would think that people there speak French. It is, indeed, the official language, but not everyone knows it. In fact, a little over 60% of the population of Mayotte can understand and speak French, and even fewer speak it fluently. Instead, you will hear Mahorian, which is related to Swahili, and Malagasy. However, you should manage just fine with English. As for what you can do in Mayotte, the list is long enough. Of course, you can enjoy the lovely beaches and take a swim in the ocean. You cannot leave Mayotte without scuba diving in the lagoon. The corals and the fish that live in the area are absolutely stunning. Depending on what time of year you travel to Mayotte, you can watch the turtles on the south beach. Plus, if you go there in August or September, you can watch the humpback whales and their calves in the lagoon. It is a spectacular view. Lastly, you must hike to the summit of Mount Choungui. You can see the entire island from there. The view is breathtaking, especially at sunrise or sunset. The bottom line is that Mayotte is worthy of your bucket list. The locals are friendly, the food is good, and you can relax any way you like. Whether you are an active person and love to hike, or you just want to lay all day long on the beach, Mayotte provides for every need and pleasure.